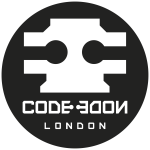 If you're interested in learning more about how Atomic Design has transformed how we look at UI components and code modularization make sure you take part in this month's Front Endgineers London! We'll be joined by Cristiano Rastelli from Badoo. Don't miss it! In this talk, Cristiano Rastelli will share not only the learnings but also all the "buts" that he has found in the exciting journey developing (in React, of course) a Design System for Badoo. If empathy is about understanding people, accessibility is about understanding people and the barriers that they face. Getting your own experience of accessibility helps you to put yourself in the shoes of others and keep accessibility in mind when building and testing your sites and applications. In this talk, Jon Gibbins gives a practical introduction to accessibility for front end designers and developers. He will walk through some typical accessibility barriers and situations where an accessible user experience does not necessarily come from simply adhering to accessibility guidelines. Find out how you can easily experience accessibility for yourself using something you likely have in your pocket – a smartphone. Leave with some tips under your belt and a grasp of some technical fundamentals that are often the missing piece of the puzzle for developers' understanding of accessibility. 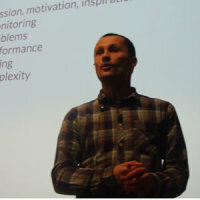 Jon Gibbins is a freelance accessibility consultant with 15 years' experience and is widely recognised as a leading expert in web and mobile accessibility, interface development and testing. He's worked with big brands around the world, training and working with development and testing teams, and encourages practical and sustainable approaches to accessibility.